This month, we’re catering for the seafood lovers! 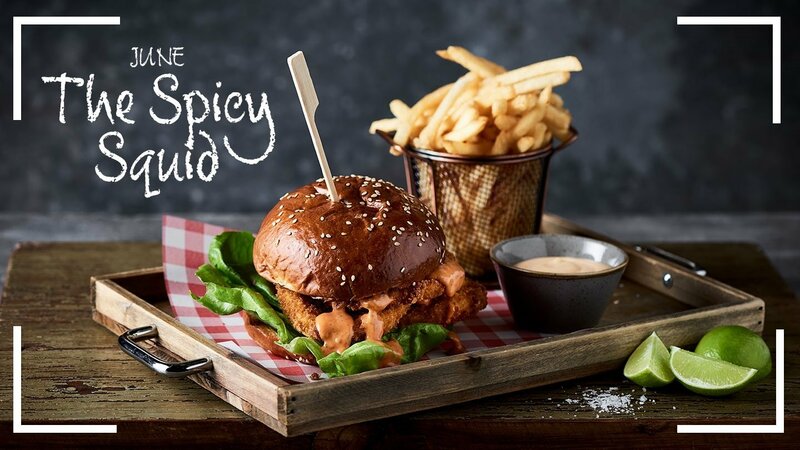 Pop into the Brewhouse anytime in June and try our new squid burger; delicious panko crumbed calamari, butter lettuce, garlic aioli, tomato chilli sauce served on a brioche bun. This spicy little gem comes with a serving of our shoestring fries and a pint of one of our Brewhouse beers, brewed in-house – all for just $25! We’ve done some taste-testing for you to make sure you get the most out of your dining experience with us. Our Spicy Squid burger goes down very nicely with the Basement Brewhouse American Pale Ale (Tap 3) or a really good IPA. The Spicy Squid is available exclusively during the month of June in the Brewhouse. Come in and try it today!